Lyme Disease in dogs can cause serious health problems if it's not diagnosed and treated early. Lyme Disease is also known as Borreliosis, and is carried and transmitted by ticks (usually the tiny Deer Tick, aka the 'Black Legged Tick'), and is most often found in the north-eastern United States. Luckily there is a simple way to protect your pooch from being infected, plus there's also a vaccine available for dogs who are at 'high risk' of contracting the infection. Lyme Disease is a vector-born disease. This means it is an infection disease which is transmitted by another living organism, in this case the teeny-weeny Deer Tick. Deer Ticks (aka Black Legged Ticks) primary host are deer, but these little critters aren't picky, and if your dog (or you) happen to wander through long grass or wooded areas, then they will happily 'jump aboard'! 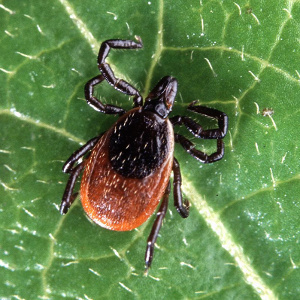 Lyme Disease isn't 'contagious' and you can't catch it from your dog, however if an infected Deer Tick bites you then you can be infected in the same way as Fido. Humans tend to suffer from flu-like symptoms, including achy joints and swollen lymph nodes, and a characteristic 'bullseye' rash around the area of the original tick bite. This disease can occur in almost any part of the US. Recent studies show Lyme Disease carrying ticks in 37 states and Lyme Disease cases in humans has tripled in the last 20 years! However, it is significantly more prevalent in certain areas, particularly the north-eastern states. This region is home to the Eastern Blacklegged Tick (aka Ioxdes Scapularis). Although there are many fewer cases on the East Coast, California and Arizona are also states where there is a slightly elevated risk for Lyme Disease. The west coast is home to the Western Black Legged Tick (aka Ioxdes Pacificus). In order to transmit the bacteria which causes Lyme Disease in dogs, the tick needs to be attached for somewhere between 18 and 48 hours (researchers/experts cannot agree on a more specific time-frame at this point). After this period, the bacteria can be transferred to Fido's bloodstream through the tick's saliva. Not all dogs who are bitten by infected ticks will get sick, and not all deer ticks are carrying Lyme Disease. Studies have shown that a large percentage of dogs already have some immunity, but there's no way for you to tell by looking whether or not your dog is at risk. It's best to follow preventative measures, and also treat any tick found on your dog as a potential threat (there are also other tick-borne diseases such as Rocky Mountain Spotted Fever, Ehrlichiosis and others to be concerned about). 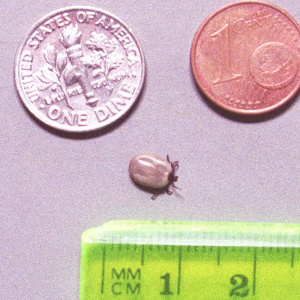 Deer ticks are actually quite small, usually between 2 to 3.5 mm, and a fully grown adult is no bigger than a sesame seed. When it is sucking blood however, it grows considerably in size and is easier to see. Adult Blacklegged tick (aka 'Deer' tick) aka Ixodes Scapularis. Adult Blacklegged tick adult, full of blood after a feeding. The images above show and adult deer tick before and after it has been gorging on a host animal's blood. The first photo is obviously the 'before' pic, and the second one is the 'after' shot. 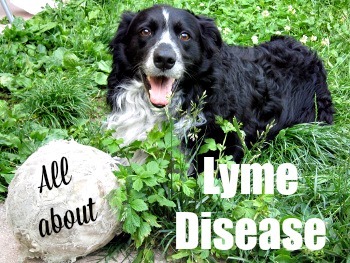 The symptoms of canine Lyme Disease usually appear somewhere between 2 and 5 months after infection has taken place. So at first your dog won't have any symptoms at all. But occasionally they can appear sooner (in as little as a few weeks) or sometimes even later, possibly up to a year or longer after exposure. It's also important to realize that the symptoms of lyme disease in dogs are usually NOT the same as the symptoms you might see in a human. You are very unlikely to see that classic 'bullseye rash' for example, but occasionally you might. Limping or lameness - most often seen in one of the front legs, but can affect any leg/s, and can be intermittent. General stiffness or arthritis-like symptoms. Loss of appetite - again due to the fact that your pet isn't feeling well. Sustained reluctance to eat can cause significant weight loss. 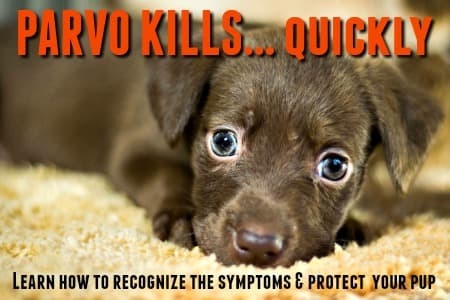 The most important symptoms to be aware of are limping or lameness, swollen joints and/or lymph nodes, and fever. Lethargy and loss of appetite are more general signs of illness, and could more easily be symptoms of many other illnesses or diseases. It's also important to know that the 'bulls-eye' rash that is often seen as a symptom of Lyme Disease in humans, is much less commonly seen in dogs. If the tick bite was on a relatively hair-free area of your dog (ie his belly, inner hind leg etc. ), then you may see a red, bullseye type rash around the bite itself. However, most dogs don't develop this symptom, and even if they do the chances are fairly good that it will be hidden by his fur. So, it's clear how important it is to take your dog to the vet if you have the slightest suspicion that your dog could be at risk. Treatments for this disease are usually very effective, if the illness is recognized early enough. If your pup or dog is showing any of the signs/symptoms above, get him veterinary attention immediately as they can progress very quickly. Your dog could go from having a slight limp, to being almost immobile within a couple of days. Anytime your dog is in a wooded area, or in long grass, he is exposed to ticks. 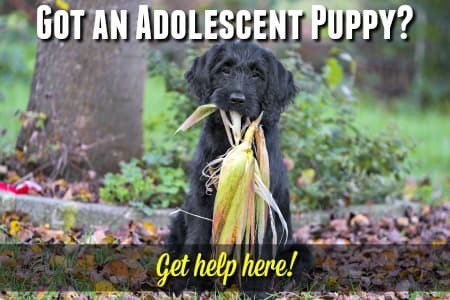 If you live in the countryside, he could even pick them up in his own yard. It's vital to check your dog daily and if you find a tick (or several ticks), remove them right away. Because of that 18 - 48 hour 'window' before an infected tick can transmit the disease, being vigilant about checking for (and removing) ticks is the best way to prevent Fido from getting sick. If your dog has picked up a tick you need to remove it as quickly as possible. Getting it off him within 24 hours can really reduce the chances of it being able to transmit any diseases. Never touch a tick with your bare hands as Lyme Disease can be transmitted through your skin. Put on rubber/latex gloves first. For the fastest, easiest, most fool-proof tick removal I highly recommend either Dr. Mercola's Tick Stick Kit or the Tick Twister Set. They work great and make it a snap to remove small or large ticks (there are also many other similar products, pick whichever one you think will work best for you). Until you get your Tick Stick or Tick Twister, you can use a pair of tweezers or forceps instead. Grasp the tick's head firmly, as close to your pup's skin as possible. Pull slowly but firmly. Don't grip the tick around it's swollen body or squeeze it's body. Once the whole tick is out, use a disinfectant or rubbing alcohol to clean the area (and your gloves/tweezers etc. too), then apply a little anti-biotic ointment to the area of the bite. When you're removing a tick from your dog, if it's head is left under your dog's skin it could become infected, so keep an extra-close eye on the area for the next few days. Don't forget to make sure you kill the tick before disposing of it or you may see it again! Once you've done all that, be sure to get Fifi on a regular schedule of flea and tick medication so you don't have to do the same thing all over again. The more common American Dog Tick isn't a carrier, but most of us can't really tell the difference between tick species..... and I know that I'm not too keen to get up really close to these nasty little creatures if I can help it! The most commonly used antibiotics used for treating Lyme Disease in dogs are Doxycycline and Amoxicillin. The earlier the antibiotics are started, the better the chance that your dog will make a full recovery. Removing a tick as quickly as possible is the very best way to protect Fido, and you, from the dangers they pose. Carrying a sticky lint roller (the type with tear-off sheets) in your car, or in your coat/bag etc. when you're out and about in areas where ticks are likely to be is a great first-line of defense. When you're finished your walk and getting into the car, or have left the area of long-grass/woods etc. simply run the sticky roller over your clothes and shoes, and brush over your dog's body. It will pick up ticks which aren't yet attached to skin or are on the surface of clothing or fur. Obviously a more thorough examination is needed too, but this is a quick and easy way to start de-ticking yourselves! Here's a fantastic product which can give you priceless peace of mind! This diagnostic kit has a tick remover and then allows you to send the tick to a lab to find out whether or not it was carrying Lyme Disease. As symptoms don't show for weeks, this early warning can allow you to set up treatment much earlier than would otherwise be possible, saving a lot of discomfort, pain, distress and cost. There is an additional cost of $39.95 to have the tick analyzed, but to my mind it's well worth the money - especially if you're in a high risk state. A three week course of these antibiotics is the minimum most veterinarians recommend, and it may be necessary for your dog to take them for a month, or occasionally even longer. If the antibiotics are stopped too early, symptoms may come back (along with the risk of the long-term damage listed above). Rule #1 - Use an effective tick preventative, regularly! Rule #2 - If you see a tick on your dog, remove it right away! 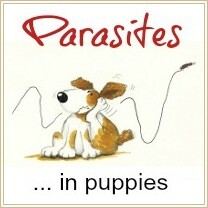 Luckily, given the potential severity of the effects of canine Lyme Disease, preventing this illness is fairly simple. Using an effective tick preventative on a regular basis will protect your dog fairly effectively, by ensuring that any ticks on him will die within the 18 hour 'window' before infection sets in. Over the counter products can't be relied on, and it's important to choose a product that contains Permethrin or Amitraz. The most popular brands of topical treatments such as Frontline Plus or Advantix II are good choices. Revolution is not an effective treatment against Lyme Disease in dogs as it only kills the American Dog Tick, NOT the Deer Ticks who carry the disease. Advantage is also ineffective as protection because it only kills fleas! Some collars such as the Preventic Tick Collar or a Seresto Tick Collar can also be used, but as these may not be as effective as the topical treatments. It's a good idea to use them as extra protection if ticks are really bad in your area, or if your dog spends a lot of time out hunting/walking in long grass or wooded areas. A Preventic collar can be used at the same time as the topical treatments, but is effective for up to 3 months. 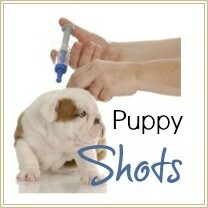 If you live in an area where Lyme Disease is prevalent, you may want to consider having your pup vaccinated against it. Although not 100% effective (no vaccine is! 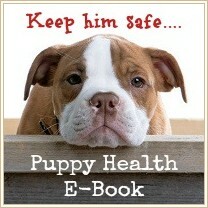 ), it's still the best way to protect a high-risk dog.